Toshiba Qosmio G35-AV650 digital entertainment notebook computer is an ultimate portable home entertainment center with High Definition (HD) DVD playback capability and powered by Intel Centrino Duo Mobile Technology, 17″ diagonal widescreen XGA+ Ultimate TruBrite display (1440×900 pixels) on Toshiba QosmioEngine and NVIDIA GeForce Go 7300 high-performance graphics card. 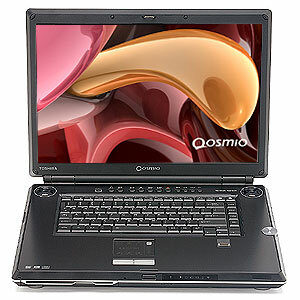 Behind, Toshiba Qosmio G35-AV650 has integrated TV tuner (NTSC) and QosmioPlayer, combined HD DVD-ROM and dual-layer DVD SuperMulti optical drive, 1-bit digital amplifier and harman/kardon enhanced Bass Reflex speaker. PC Magazine reviewed Toshiba Qosmio G35-AV650 HD DVD laptop and concluded with good rating of 3 out of 5 that Toshiba Qosmio G35-AV650 is an outstanding Media Center laptop, not an outstanding HD DVD player. If you want the laptop, save yourself $600 and purchase the AV600. HD is better watched on a big-screen TV anyway, and better suited for a set-top box. The HD DVD drive and HDMI port will bring a lot of excitement to early adopters. For the rest of us, it might be wise to wait for the next version.